It’s official, Apple introduced the new iPhone 6 and iPhone 6 Plus, its most leading-edge flagship smartphones and the biggest advancements in its history on a September 9th media event. Dubbed as “Bigger than bigger,” the iPhone 6 sports an exquisite 4.7-inch Retina HD display with a 1334 x 750 resolution and pixel density of 326 ppi. Along with a larger screen, the new iPhone 6 features an A8 chip which still uses a 64-bit dual-core processor with a frequency of 1.4 GHz and a 1GB RAM; smaller than the A7 chip, more energy efficient and an improved performance better than the previous iPhones. While the iPhone 6 houses 2nd generation desktop-class architecture, its sleek design and more rounded finish is significantly thinner nearly as the iPod touch. The new iPhone’s slimmer bezels and lighter chasis rooms an 8-megapixel camera like the sensor found in both iPhone 5S and iPhone 5C. The slightly protruding advanced iSight camera which has a new Focus Pixels sensor and paired with a dual-LED True Tone rear flash contributes to a crispier result. The latest smartphone also continue to feature a cleverer Touch ID fingerprint sensor and a colour-shaded home button which was first introduced in the iPhone 5S. Aside from the advanced Touch ID scanner, the iPhone 6 still supports 802.11ac but with a new Gigabit Wi-Fi chip which will offer end-users a network speed of up to 433mbps or three times faster than any existing wireless networks, reaching at least a speed of 1 Gigabit per second. The iPhone 6 also sports the next-generation 4G LTE-Advanced with 20 LTE bands and which supports speeds of up to 150mbps and a Bluetooth 4.0 wireless technology. As part of Apple Pay mobile payment solution, the 4.7-inch iPhone 6 finally incorporates the NFC technology to its logic board, the easiest way to pay for goods and or apps securely with just the touch of a finger. While it’s most likely the leading brand’s hallmark feature for its new smartphones line-up, the iPhone 6 as well ships with the advanced iOS 8. Apple’s iOS 8, its most cutting-edge mobile platform introduces several new features like an all-new HealthKit app which is obviously for fitness and health tracking, Family Sharing and iCloud Drive for storing files; a redesigned QuickType keyboard, improvements to Messages and Photos app as well as a unified integration between Apple’s mobile and desktop devices. It also features a new M8 motion coprocessor that tracks motion data through the accelerometer, gyroscope, compass and the new barometer essential for fitness apps. 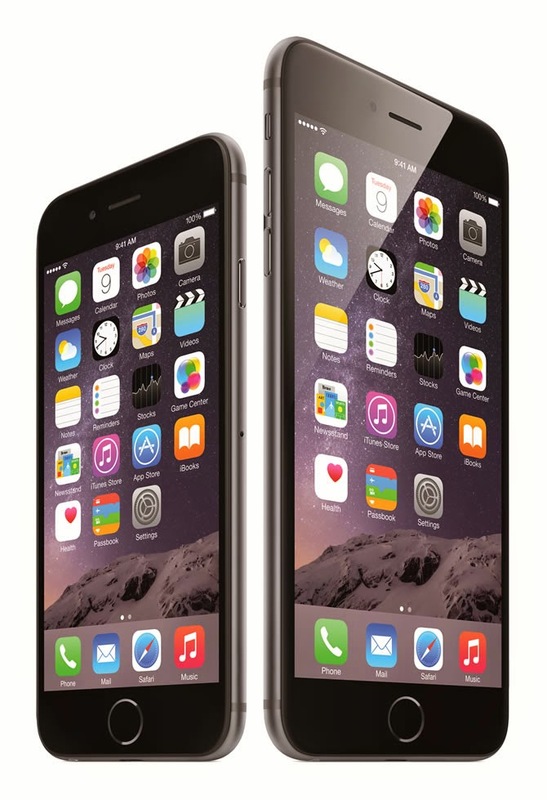 With a smooth–seamless rounded corners and an increase in size, the iPhone 6 thinner display features a durable and damage resistant Corning Gorilla Glass 3, the same technology used in the previous iPhones. The 4.7-inch iPhone 6 features a 1,810 mAh battery, a minor increase over the iPhone 5S battery with just a capacity of 1,560 mAh. Though it’s only a modest battery gain due to its large display, still it can lasts up to 14 hours on 3G and 250 hours standby. iPhone 6’s curvy design also features a repositioned right-side power button; a remodelled volume keys and speaker, SIM trays with curved edge and a round True Tone flash. 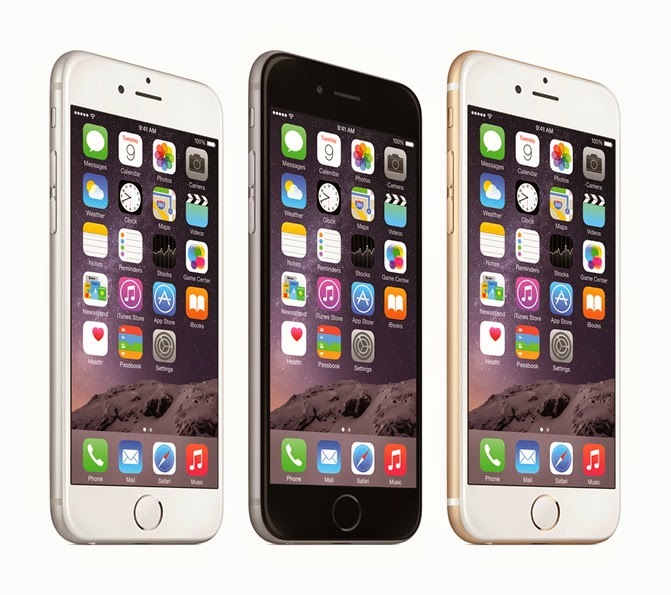 The iPhone 6 color options include gold, silver and space gray. The 16GB model is priced at $199; $299 and $399 for the 64GB and new 128GB variant respectively which will be available in the United States and selected countries on September 19. Alongside the 4.7-inch iPhone 6, Apple also unveiled its much-awaited wearable device which is the Apple Watch and the high-end iPhone 6 Plus which sports a slimmer body design, a 5.5-inch Retina HD display with 1920 x 1080 screen resolution at 401ppi, 8-megapixel iSight camera with OIS technology that tracks motion addressing the unsteadiness of device and bundled as well with innovative features like the new iPhone 6. It will also be available in three color choices: gold, silver and space gray. With Apple’s dual iPhone strategy, the earlier iPhone 5S with Touch ID sensor and the low-priced 8GB iPhone 5C which is packed in a plastic case will still be available for purchase. 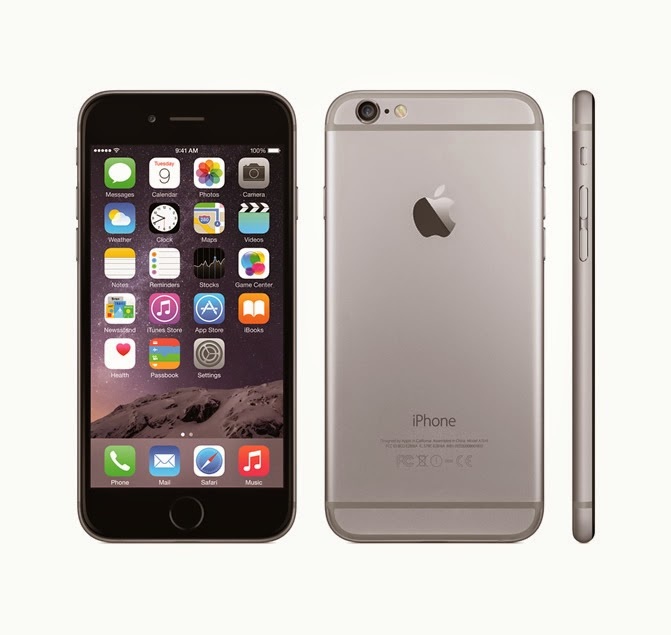 The preceding iPhone 5S is bundled with same features such as a 4-inch Retina-quality screen, 8-megapixel camera, FaceTime HD, an A7 chip with 64-bit architecture and LTE band connectivity. While the Apple Watch ships soon in early 2015 in the US, it has a premium price tag of $349 and the hottest 5.5-inch iPhone 6 Plus with a retail price of $299 for the 16GB model, $399 and $499 for the 64GB and 128GB variants, set to ship as well on September 19. Apple’s latest version of its mobile operating system, the newly pressed iOS 8, will be rolling out and free for download on September 17. It’s beyond doubt, the 4.7-inch iPhone 6 and 5.5-inch iPhone 6 Plus offers notable features with impressive performance and great improvements. With Apple’s big move to bringing the next generation iPhone with a larger screen and in line with the competing Android and Windows smartphones, one thing is for sure, it will change the progress of the game. While the rover is thinking for an iPhone 6 Plus contract plan, are you getting the same iPhone model or the new iPhone 6? 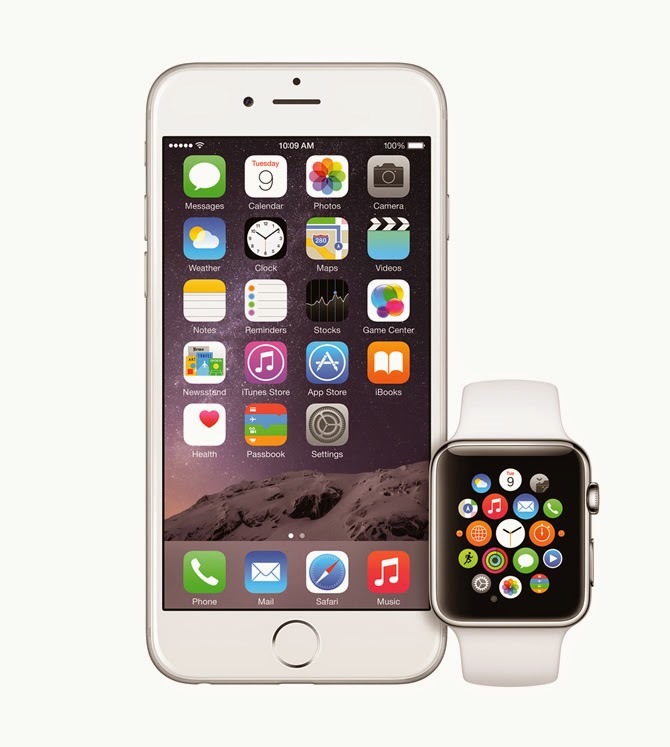 How about the sleeker iOS-based Apple Watch?